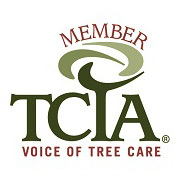 Why Choose Us As Your Tree Service Provider? 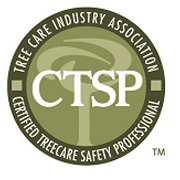 A qualified arborist will come to your home and provide you a free quote for the work you need done. The price for that stated work will never be more than the quote so there are no surprises. 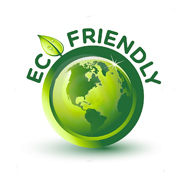 We are a green company and guarantee that 100% of the wood and debris we remove from your property will be recycled minimizing the impact on the environment. We will leave your house and yard better than we found it. In fact, you wont even know we were there! 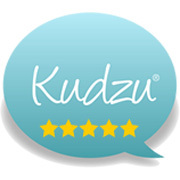 Our reviews speak for themselves. 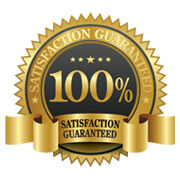 We are 5 star rated and maintain an A+ rating with the Better Business Bureau. With home values at almost $400,000 on average, it is easy to see why residents would turn to a company such as Evergreen Tree Services. 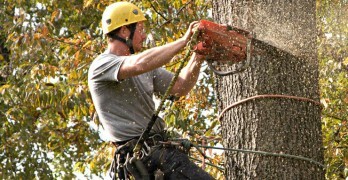 Tree pruning and tree trimming is important to property value, and no company is more aware of its value than a local tree service such as us. 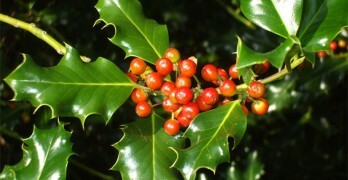 We understand the growing conditions as well as the trees and shrubs that grow well in the area. Home owners who notice sick or infested trees in their landscaping should call an arborist from our team to look at the damage and make a recommendation regarding the steps that should be taken to take care of the problem. New residents may have issues that might require stump removal. Often previous residents may have had tree removal performed and left a stump in its place. When we remove a stump, all of the debris will be completely cleaned up from your yard or property and you will not see a bill from us until you are completely satisfied. We will recycle all of the wood chips from the removal. Any hardwood that we take from your property will go into firewood for fireplaces and campfires around the area. Cherry and Peach wood are sold to many of the competitive barbeque cooks for which Atlanta is known. What you see as garbage from a sick damaged tree will be a great purchase for someone else. Summers in Brookhaven are known to reach into the 90s and our winters are usually mild, with lows in the high 20s or low 30s being typical. Average rainfall is in the 50+ inch category, as is the norm for the area. 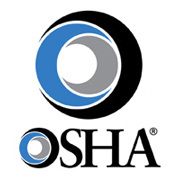 This means there can be storms just about any time of the year and storms can mean the need for emergency tree service. 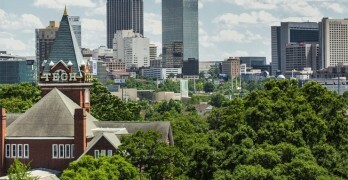 Evergreen Tree Services provides 24/7 emergency tree services to the residents of Dekalb county, including the city of Brookhaven. 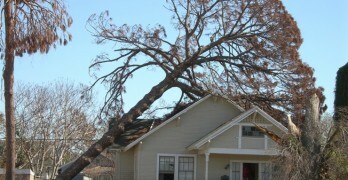 When damage from trees occurs, it can get worse if it’s not taken care of properly. We specialize in not only fixing what went wrong, but pinpointing what other trees may cause problems in the next storm or down the line. Brookhaven, Georgia, located in Dekalb County, is a suburb of Atlanta in the northeast corner. Evergreen Tree Services and their certified arborists offer tree removal, tree pruning, and tree trimming to residents of Brookhaven. Stump grinding and stump removal are other important services we offer to residents of the area. Like much of the area, Dunwoody began as part of the great Cherokee Nation. In 1810, the first permanent European settler arrived. John Evans settled there and started the first plantation. By the 1830s Harris & Solomon Goodwin had bought that land from Evans. In 1837, Goodwin’s train station was erected. The advent of the railroad was a great boon for the country, and it was no different for Brookhaven. The Goodwin home and family graveyard is still preserved to this day as a testament to the roots and very beginnings of Brookhaven. By 1900, citizens of Georgia had decided that Brookhaven was a great place to have summer cottages, and more and more sprang up throughout the city. In 1910, on the north side of Peachtree Road, a planned community came into being that surrounded a golf course. It was built in 3 stages. First to come into being was the Brookhaven Estates in 1910. In 1929 came the Country Club Estates. Shortly on its heels, in 1936, came the third portion of the community, the Carleton Operation Company. The city continued to expand. From the 1950s to the 1970s there was a great deal of expansion both in the commercial and residential sectors of town. By 1980, it seemed it has been mostly built-out. On July 31, 2012, the city was finally incorporated by 55% of the population voting in favor of this change. According to the U.S. Census, the estimated population of Brookhaven in 2014 was 51,079, which showed a good deal of growth from 2010, at 26.3%. The median age of residents in Brookhaven is quite low, being at only 31 years old. That makes it one of the youngest suburbs in the greater Atlanta area. In 2014 it was reported that 47.2% of residents were between the ages of 25 and 44. Married couples make up 33.3% of the population with 7.4% of households having a single woman as head of household. 53.4% of households were listed as non-families. The median household income of Brookhaven was $69,597 as last reported in 2014. Home ownership rate was 47.9% with the median value of owner-occupied housing being approximately $376,000. Dekalb County and the City of Brookhaven offers residents and visitors alike a look into the south’s past with its museums and artifacts. Everything from the Cherokee Nation to the great railroad years can be studied from this town of 40,000 plus people. The weather here is mild year round and the people are friendly. There are great shopping opportunities as well as scenery that visitors are sure to enjoy. Evergreen Tree Services is proud to service the people of Brookhaven and to answer all of their tree trimming questions. We offer a complete line of services to help any land owner with any problems the weather or climate may provide.